Stay Connected. Get Involved. Join Today. 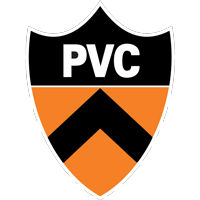 PVC Membership is open to all alumni letterwinners and members of the Princeton Athletics Friends Groups. It is also open to all alumni and friends of Princeton University who are interested in supporting the mission of the Princeton Varsity Club. Click here to learn more about the PVC Mission. PVC Lifetime Membership ($5,000+): Those interested in making a one-time gift to the Princeton Varsity Club can elect to join as a Lifetime Member. Lifetime Members receive benefits of annual membership for life, while ensuring that the quality of the Princeton student-athlete experience at Princeton remains the best in the country. They also receive the gold PVC Lifetime Membership pin. Learn more by clicking here. 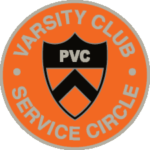 PVC Service Circle ($500-$4,999): Each year, the PVC is contacted by civic-minded Princeton student-athletes and coaches about the opportunity to give back to the community. A portion of your annual gift will be used to help fund student-athlete-run Service Circle initiatives, providing current Tiger athletes with new leadership opportunities that will also benefit the surrounding community. Service Circle Members receive the benefits of annual membership. They also receive the PVC Service Circle Membership pin. Learn more here. PVC Annual Member ($150-$499): For those wishing to make an annual, tax-deductible donation that will support broad-based initiatives benefiting all Princeton student-athletes. 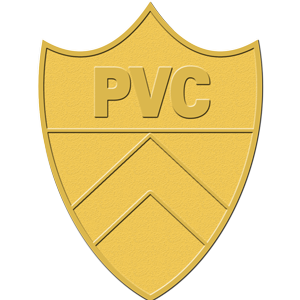 PVC Annual Members will receive the PVC Annual Membership Pin, invitations to PVC events for the member and a guest, and a subscription to the PVC News. Learn more here. PVC Donor ($1-$149): Annual, tax-deductible gifts at the PVC Donor level will be recognized in the year-end edition of the PVC News. 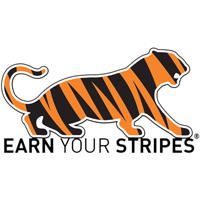 Earn Your Stripes: Launched in fiscal year 2013, the PVC will continue to offer full annual membership to young alumni (Class of ’13-’17) who make a gift of any amount to a Princeton Athletics Friends Group. Earn Your Stripes today and reap the benefits of being a member of the PVC and an Athletics Friends Group. Please note: alumni from the Class of 2018 who are members of a varsity athletic team and appear on that team’s active/injured roster at time of graduation are provided a free one-year membership through the PVC’s First Year Free program. As always, we encourage support of the Friends Groups, which provide essential operation funds for each of Princeton’s 37 varsity programs. Learn more about giving to Friends Groups here. PLEASE NOTE: PVC membership is based upon the fiscal year (July 1 – June 30). In order to receive invitations or notices for all events that take place during that academic year, be sure to renew your PVC membership for the 2018-19 year. For the first invitation of the year, we will include donors from the previous fiscal year, but they will not receive mailings after that point. Thank you to our PVC lifetime members and those who have already renewed for this year. Go Tigers! Or to join by mail: Click Here for a printable version (PDF) of the donation card.